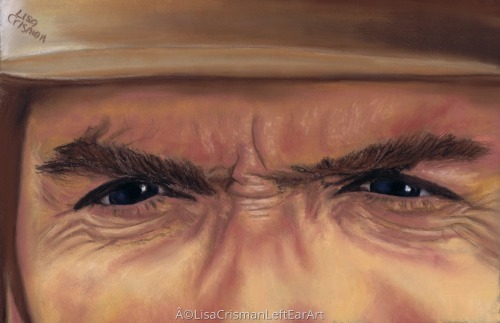 Portrait of "the man with no name", Clint Eastwood. An eye Doctor and his wife commissioned this piece to hang in his office with a few of my other "eye" portraits. Respite- respite and nepenthe, from thy memories of Lenore!" 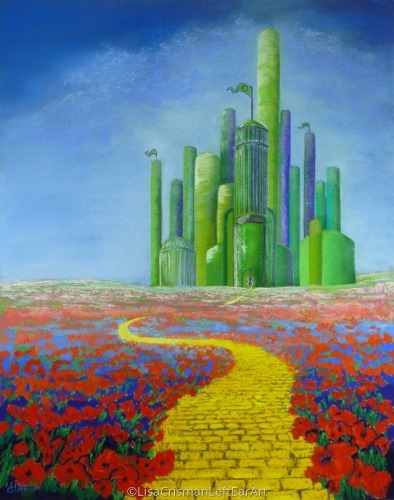 This painting was inspired by Dorothy's innocence and her awe and wonder in the beautiful, colorful land of oz. 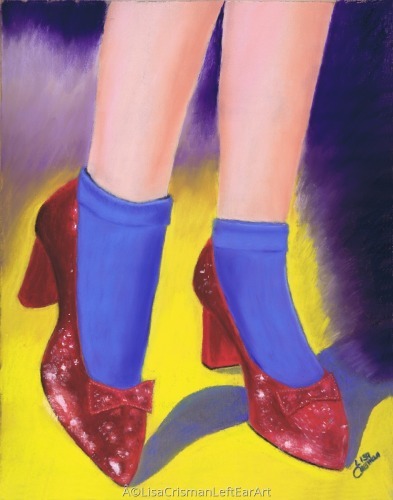 I'm a huge Wizard of Oz fan & I'm always delighted to see peoples reactions when they see my "Dorothy". What a beloved icon she is. 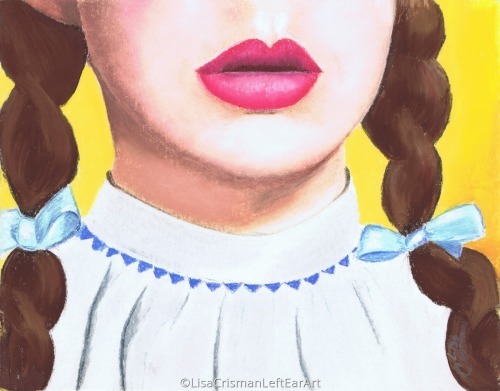 How much fun is this Dorothy Wizard of Oz painting! 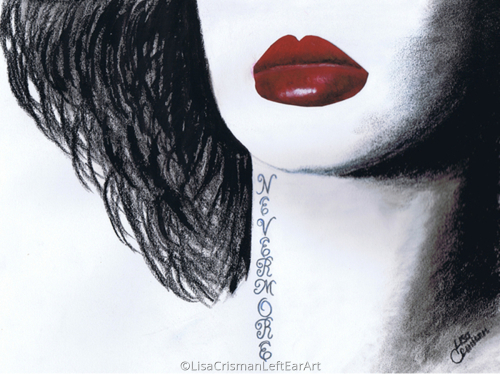 Immediately recognizable with just this "Lips" piece, she creates even more of an impact when combined with "Oh My" & "The Ruby Slippers". Always a conversation piece, she will add enchantment & joy to any home! The iconic Ruby Slippers! They bring a smile to any Wizard of Oz fan each and every time. Follow the yellow brick road...And, There's No place like Home! 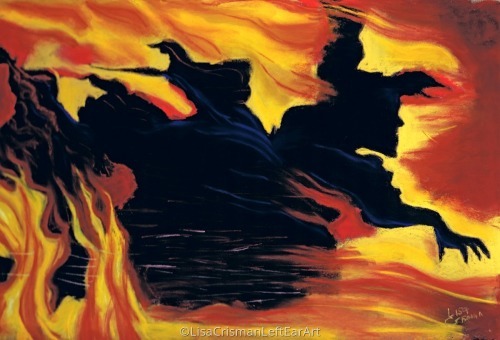 Pastel painting of The Wicked Witch from the Wizard of Oz arriving in a ball of fire! Many of you have asked me to create a painting of the Witch for my Dorothy series. I have been inspired and think I've captured The Witch's spirit and awesomeness! 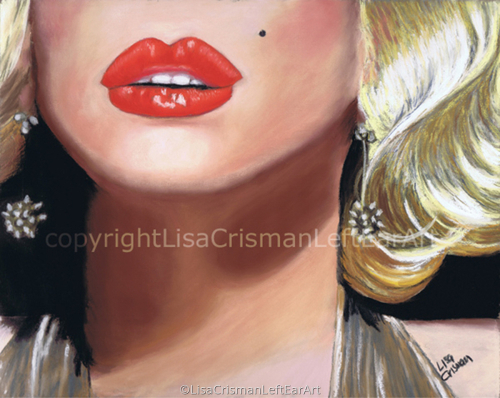 This Marilyn Monroe pastel painting is one of my "body parts" series. I think just a little can say a lot. 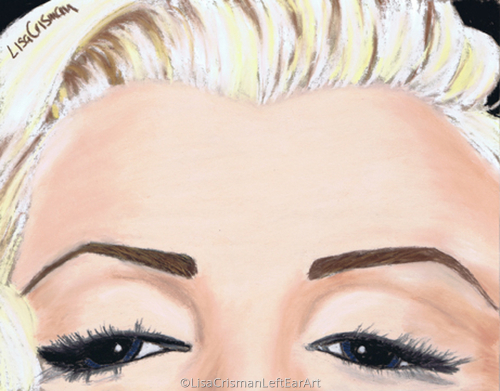 This Marilyn Monroe pastel portrait, is the "other" half of her. 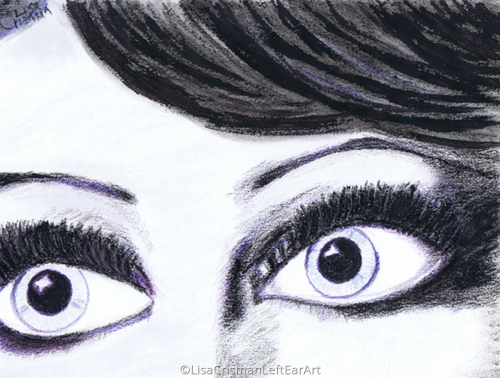 As with her eyes, I believe a little can say so much. 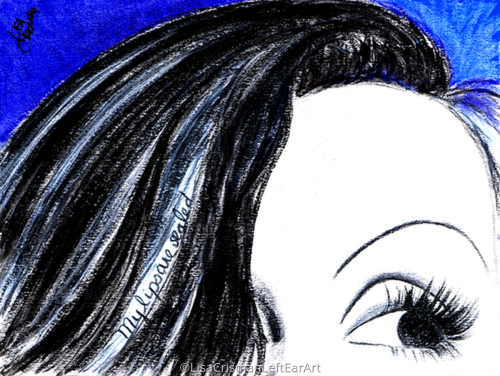 This painting was inspired by the Great Greta Garbo. Not only was she beautiful, but one of the greatest silent AND "talking" movie actresses of all time. 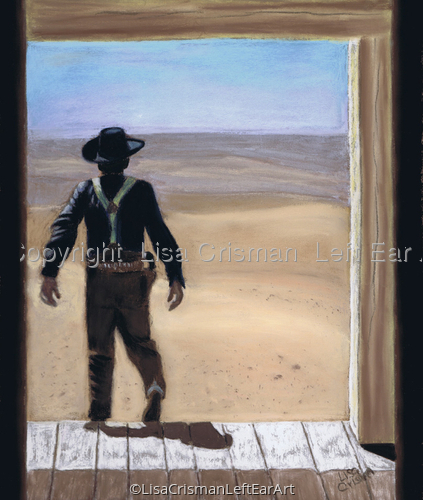 This painting was commissioned by a loving wife wanting to surprise her husband on their anniversary. They both loved the painting and are very happy Pilgrims! 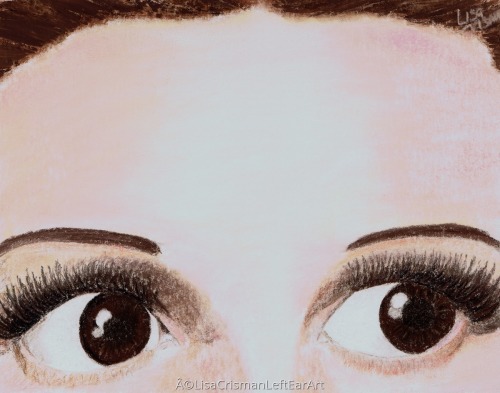 Contact me to commission a painting of your favorite celebrity, or a loved one. 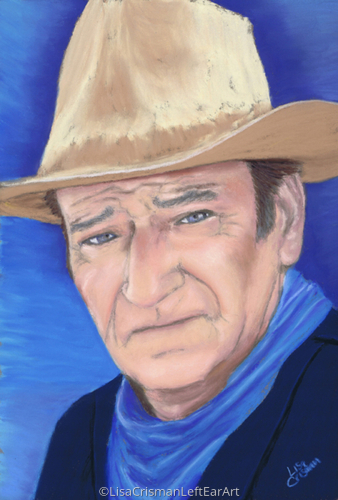 This pastel painting was done on commission as a companion piece for my "John Wayne" portrait. This is certainly John Wayne. You can just see him walking out to take care of business.